Secrets Aura Cozumel is an all-inclusive, adult-only (18+), couples-only resort, located along the beautiful shores of Cozumel. This resort’s Unlimited-Luxury® concept delivers a superior standard of service; with unique accommodations, cuisine and entertainment, there is never a dull moment with Secrets Aura Cozumel. Couples will enjoy unparalleled amenities, impeccable service and gourmet dining in one of Mexico’s most popular resort destinations. More than just a place to unwind, Secrets Aura offers a stylishly contemporary environment for guests accustomed to only the best. Contemporary in design, the hotel’s spacious 159 suites are dispersed in four low-rise buildings. Unique top floor suites feature private solarium and lap pool; distinctive ground-level rooms offer direct pool access from their patios. Each area pool is connected to the resort’s central ‘lazy river’ pool, a focal point of the property. The resort offers 87 exclusive sea view suites, elegantly decorated by Interiorismo, an internationally recognized design consultant, offering comfort and functionality. Each suite indulges with an inviting blend of light and comfort, as well as a private balcony featuring beautiful ocean and pool views. Experience this tropical paradise surrounded by a distinctive atmosphere that is synonymous with luxurious pampering. Secrets Aura Cozumel creates unique, contemporary environment that caters to sophisticated guests seeking the ultimate vacation escape. Secrets Aura Cozumel Resort & Spa, the only All- inclusive Adults Only Resort in Cozumel Island, is located just 15 minutes from downtown Cozumel and 20 minutes away from Cozumel International Airport (CZM). Secrets Aura is located in the south of Cozumel Island and is close to Chankanaab National Park, coral reefs and Punta Sur. Sister resort, Sunscape Sabor Cozumel, is next door. Secrets Aura Cozumel Resort is a tribute to the senses. A storybook setting in the Cozumel jungle by the Caribbean sea, surrounded by sacred Maya Ceiba trees and lavish gardens. As part of an exclusive collection of Boutique Hotels, Secrets Aura has been recently incorporated into the ‘Preferred Hotel Group’, a distinguished group of hotels recognized for its high standards of quality and service worldwide. 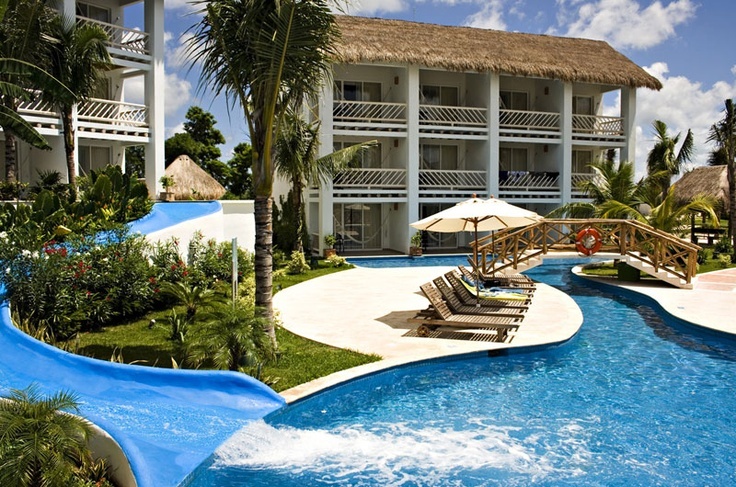 Secrets Aura is the first hotel in Cozumel with this distinction. Guests staying at the Secrets Aura Cozumel Resort enjoy access to the Spa by Pevonia as well as special reservations for tee times at the Cozumel Country Club golf course. The hotel is accessible throughout most of the facilities; there are ramps at the main lobby with easy access to any building, restaurant, bar, or pool in the Resort. There are wheelchair accessible rooms available to offer the most comfortable stay.